The experienced guides of Brushbuck Tours will take you through Jackson Hole and Grand Teton National Park, showing you the incredible scenery and local wildlife along the way. Among other creatures, the park houses grizzly and black bears, elk, eagles, and wolves. In addition to guiding you to wildlife hotspots, Brushbuck Tours will provide a historical and cultural account of the area. Tours are available year round, ranging from 4-8 hour day tours to 4-day / 3 night expeditions. Visiting Grand Teton & Yellowstone National Parks are on the itinerary of most guests visiting Teton Springs. Both parks are truly national treasures. 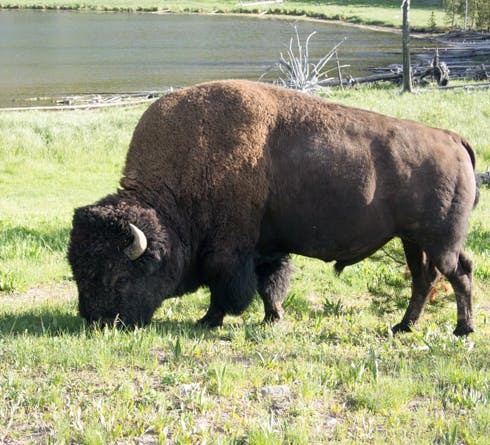 And, for a truly unique experience, take the Wildlife and Natural History Safari in Teton National Park. Located just outside Jackson Hole, and only 30 minutes from Teton Springs, this is a first-class journey, a four-hour Wildlife Safari offering a personal and unforgettable wildlife experience rivaling a National Geographic special. Each excursion is custom tailored to meet specific interests, and includes park fees, snacks, soft drinks and high-quality optics. Departure times are dependent on sunrise and sunset times to guarantee ideal wildlife viewing.